After the great success of our first split Children’s Services in March, please come again on 25th April to celebrate Israel’s Independence Day. 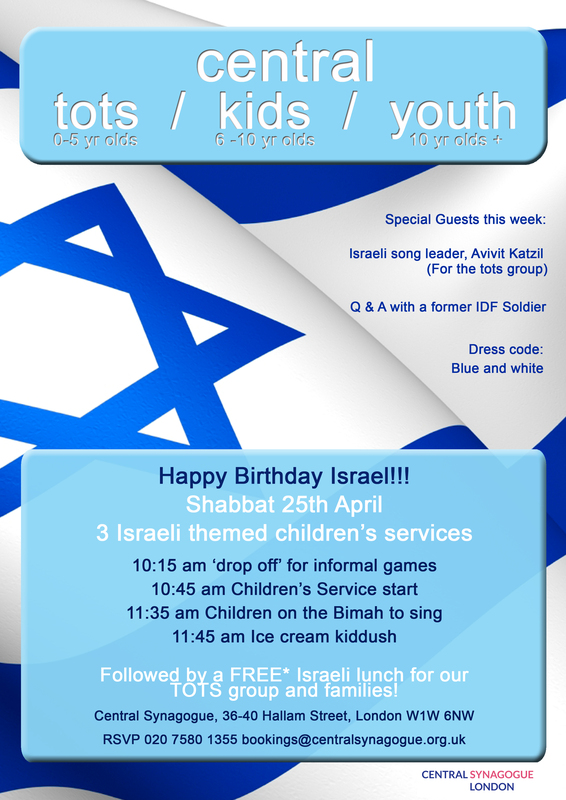 We’ll have Israel themed games, songs and activities for each age group.. not forgetting food! Israeli song leader Avivit Katzil will be leading the tots singalong session and our older groups will have the chance to meet a former IDF soldier and talk about his experiences. We will also be hosting a special tots lunch for our youngest members and friends so do let us know if you would like to join and have a relaxed Israeli inspired lunchtime in the sun (hopefully! ).